Bringing unconventional cinema to your screen is the upcoming Bollywood rendition of 102 Not Out. Starring Amitabh Bachchan and Rishi Kapoor, 102 Not Out is an adaptation of a play of the same name by Saumya Joshi. The story revolves around a 102-year-old man, played by Amitabh Bachchan, who lives with his 75-year-old son, played by Rishi Kapoor. The character portrayed by Bachchan will be seen trying to break the record of the oldest man alive, which is apparently held by a Chinese man in the film. The two great actors are reuniting after a long break of almost three decades. 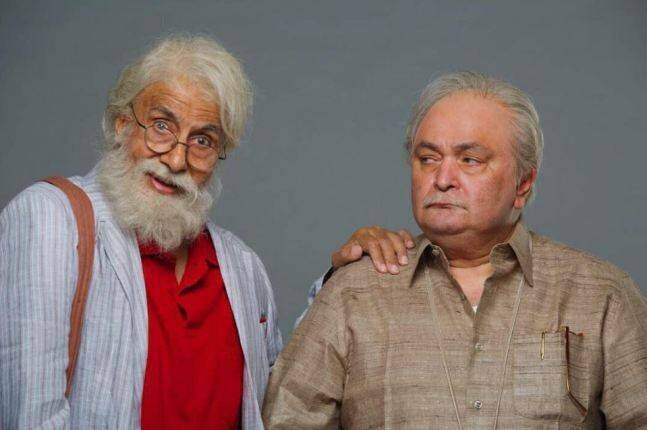 After having played brothers in Amar Akbar Anthony, 102 Not Out brings together in them an unusual father-son duo – quite an experiment to begin with. We have seen both actors play old characters with elan. While Bachchan entertained with his crazy old man portrayal in Piku, Kapoor made a cool grandfather in Kapoor & Sons. The film will be directed by Umesh Shukla, who has earlier proved his mettle with OMG – Oh My God!. The filming has commenced in Mumbai. As unconventional as it can get, this father-son jodi is sure to offer a breath of fresh air to the audience, and hopefully would make Bollywood look even more promising.